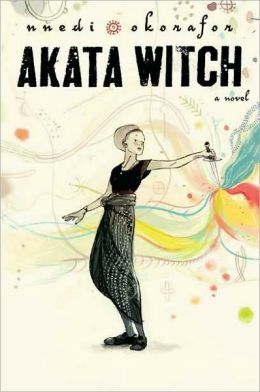 Whitley’s review of Akata Witch by Nnedi Okorafor. I wanted to like this one. I’d heard such good things about it, mostly about the originality and imagination. And…eh. There really wasn’t much to write home about. I mean, you can call your magic “juju,” but when it works the same way in the end, is it really different? I’ll grant you, there are a few clever ideas in here, but they end up being random scattered details, and nearly every book has that, so I’m not really seeing where all the hype came from. The framework is the same we’ve seen in a million other stories, and most of the original stuff doesn’t hang very well on it. Basically, this is your “young person discovers there’s a world of magic and they’re part of this secret group of people living right under the mundanes’ noses and now they have to go and learn about their magical powers” story. Which, fine, it’s a good framework. It’s been used in a lot of stories, but there’s room to change enough of the set-dressing and still make it fun and entertaining. This…was not fun and entertaining. This was a lot of really random things hung willy-nilly on that familiar framework until it more resembled a ratty Christmas tree than a story. I never got any sense of cohesion from the setting we had. There was no larger whole. There were people, and they did magic, and sometimes they did magic in this one magic place, and…ooooh, look, something shiny. And then money falls out of the sky. Literally. This could be the fault of the plot, which is literally “no one tells Sunny anything for 100 pages, followed by a bunch of random and completely unconnected magic lessons that do not add up to anything.” I guess it is hard to see much of the world when your characters are only wandering around on random, pointless tasks. For much of the story, magic wasn’t even really a big focus of the book. Hell, the biggest event that happened was a soccer game where magic was strictly forbidden. It made everything drag on interminably, until the final showdown with a villain who has had, like, 1% of presence in the novel before that. Really, in the final 50 pages or so, some people drag Sunny out of bed and say “hey, the bad guy is over there, go get him” and then shove her out the door. She didn’t have to do anything to lead up to this showdown, there was no build up, no rising action at all, just shoving the main character out the door and calling it a day. There were a lot of other things that irked me: the stilted writing, the lack of attention or history given to Sunny’s domestic problems, the fact that the sparse and distracted worldbuilding extended to the mundane Nigerian setting as well as the magical one, the plethora of random characters that just…take up space and then leave again. Most of this book was a cool idea, but unfortunately, most of this book didn’t get past the “cool idea” stage. This title is available from Viking Children’s. You can purchase it here or here in e-format.